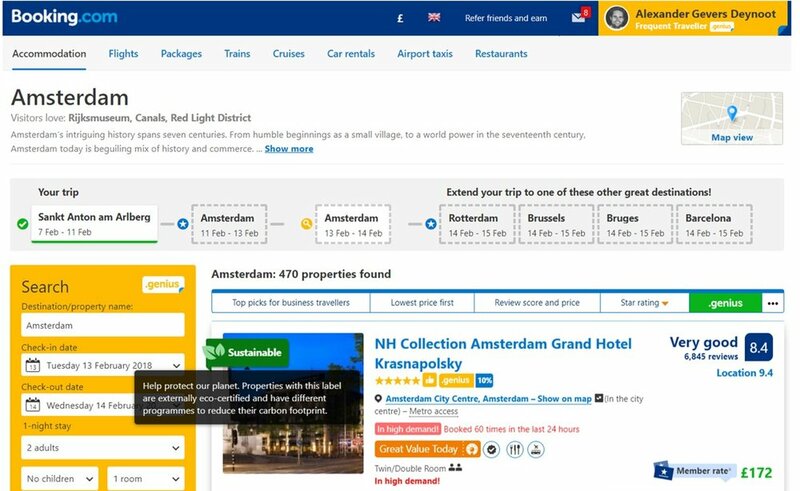 The hotel booking site BookDifferent wins the Dutch Sustainable Travel Award 2018 for its contribution on making the tourism industry more sustainable! BookDifferent.com is a hotel booking site with a mission to make the tourism industry more sustainable. Their mission is to make travel more green and fair and give tourism the opportunity to commit to a better and more sustainable world. BookDifferent is a social enterprise that places impact higher than profit. When showing accommodations, BookDifferent.com not only shows pricing but also the level of sustainability of the listed accommodations - making it possible for consumers to actively choose accommodation where sustainability is strongly implemented. Green Key has been a partner to BookDifferent since 2014, and Green Key awarded establishments are proudly featured on BookDifferent.com. Green Key would like to congratulate BookDifferent.com on the achievement!